Changes to the benefits tribunal service are being extended this month, and more people will find themselves starting their appeals against PIP and ESA decisions online. Known as Continuous Online Resolution, the first areas where it will be trialled are Midlands, Sutton and North-West Tribunal Panels. Appellants will be invited to participate on a rolling basis in groups of 50. 2. 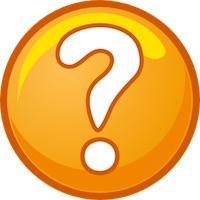 What’s up at Remap? We are approaching Awards time at Remap once more, and I am delighted to say that I am on the judging panel this year. My lips are sealed on this year’s contenders, but while you’re waiting, why not take a look at some of the highlights from 2018? The policy framework for the Better Care Fund 2019 – 2020 has recently been published. The purpose of the fund is to integrate health, social care and housing in such a way that people can be provided with integrated services which help to prevent ill-health where possible, maintain independence and prevent avoidable hospital admissions. Bakare is well known for providing adjustable, profiling beds and paediatric care cots. They have been doing so since 1993. But you may not know that they also supply and install overhead hoists. Cost-effective solutions which can accommodate such challenges as lowered ceilings, dado rails and skirting boards. And once installed, room to room transfers need just one carer. Parkinson’s UK has published the largest ever survey of people living with the condition, which reveals the shocking extent to which they also live with harassment and discrimination on a day-to-day basis. Although Parkinson’s is the second most common neurodegenerative condition after Alzheimer’s, people in general know little about it, beyond one of its symptoms – tremor – and therefore don’t regard it as very serious. 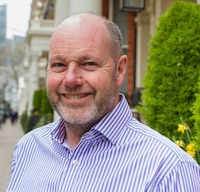 Steve Ford, shown here, is chief executive of Parkinson’s UK, and is promoting their campaign to raise awareness and stop people with Parkinson’s having to live with ignorance and unkindness. 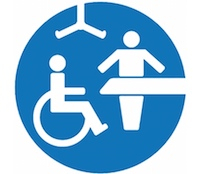 Changing Places at motorway service stations - applications can now be made for a share of a £2 million fund which will be allocated by the Department of Transport in partnership with Muscular Dystrophy UK. It is part of the government’s Inclusive Transport Strategy, which aims to provide equal access to the transport network by 2030. We all know that adult social care is in crisis; 1.4 million frail elderly people not getting the help they need with basic everyday tasks. Just imagine how that feels. The government’s solution? Well, the long-awaited Green Paper has now missed its most recent deadline for publication, 1st April – I wonder whether that date was chosen on purpose. Rather than giving themselves another target to miss, the Department of Health and Social Care now just says it will be along “in due course”. So that’s all right then.